Created in 1978, La courte échelle is the first publishing house in Quebec to specialize in literature for young people. 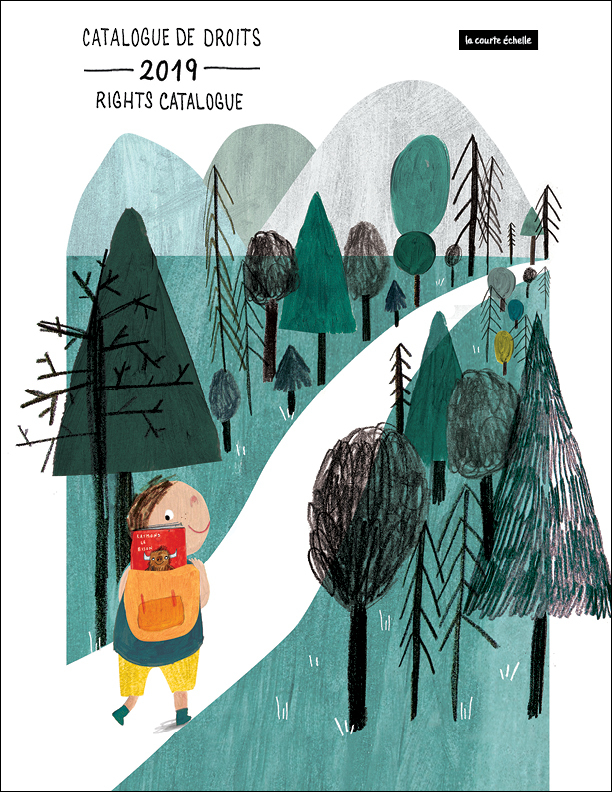 Our catalogue, rich in over 700 active titles, appeals to all age groups. There are albums for the very young, books for beginning readers and novels for pre-teens and teens. La courte échelle books can be found in all libraries, bookstores and schools in Quebec and Canada. The company has developed a faithful readership over almost 40 years, which is constantly renewed from generation to generation. La courte échelle is a standard of excellence in young literature in Canada and in the rest of the world. We offer stories that speak directly to children and that stimulate their imagination and capture their attention from the very first pages. These universal texts and the quality illustrations that accompany them have charmed many international publishers. More than 300 titles of La courte échelle have been translated. The works of Marianne Dubuc, Élise Gravel and Roger Paré have been adapted by publishing companies in China, Germany, Norway, Korea, Japan, Italy, Russia, Indonesia and Portugal.